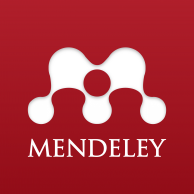 Mendeley Institutional Edition is a reference manager tool and academic social network that can help researchers organize their researches, collaborate with others online, and discover the latest research for academic institutions. Mendeley provides synchronized and integrated references online and offline Access via different devices, and also is a powerful reference management tool. It is possible to create groups up to 25 person and having 5 GB strorage rather than 2 GB after joining METU Institutional Edition page. Our graduates can use MIE (Mendeley Institutional Edition) an additional year after the date of graduation. To download Mendeley Desktop and join Mendeley, please click Signup & Download button. Also for being a member of Middle East Technical University institutional page, please click “Join this group” button.